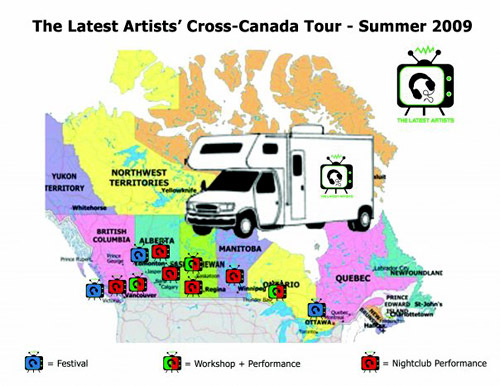 Deb and I are headed out west from Ottawa all the way to Vancouver for a summer DJ/VJ performance and workshop tour as The Latest Artists! All the info, dates, and documentation (pics and vids) will be available on our new fan page on Facebook. Check it out and follow along!